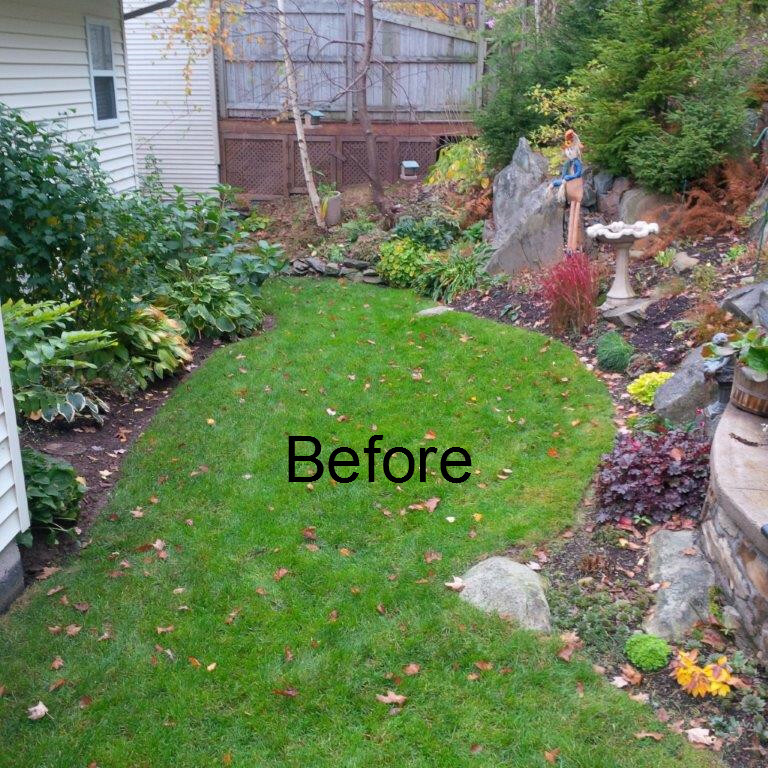 A portal to a secret garden and outdoor oasis. 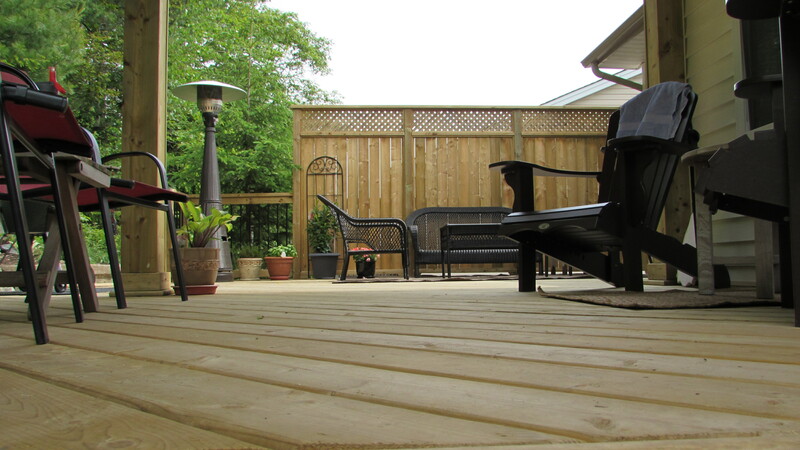 Living in the city doesn’t have to mean you can’t have a little piece of heaven in your backyard. 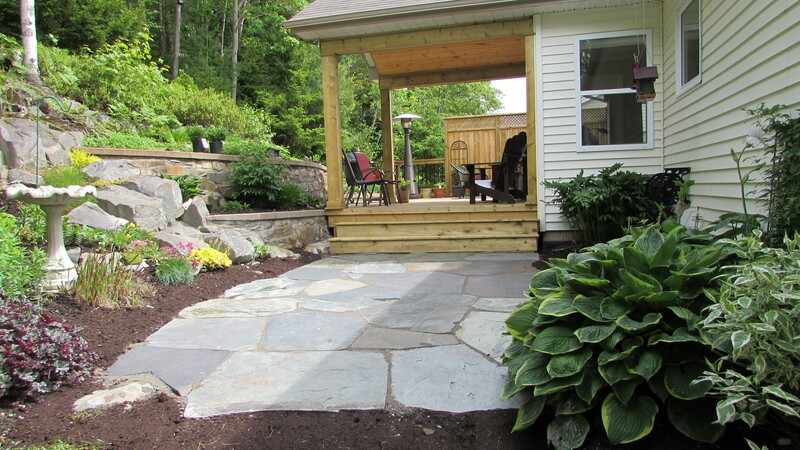 This project is a combination of a jumbo multi flagstone walk which paves a path to a pressure treated deck built with a diagonal design. 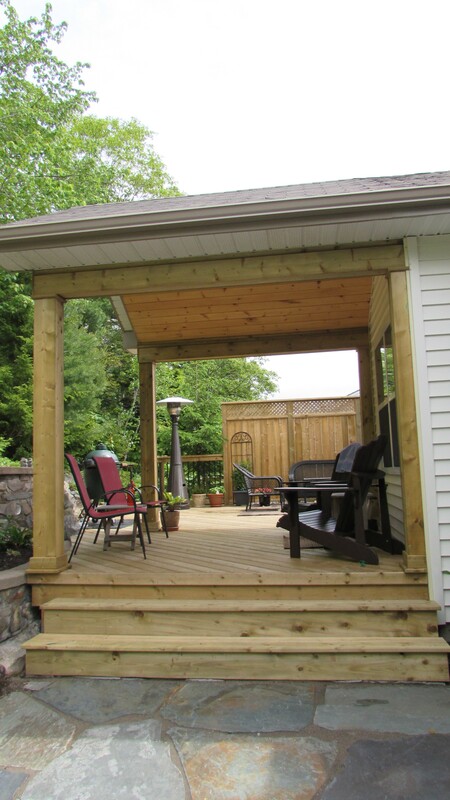 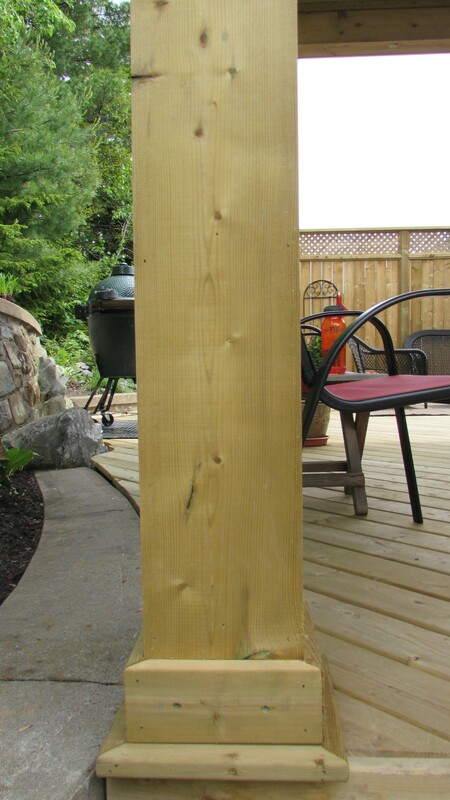 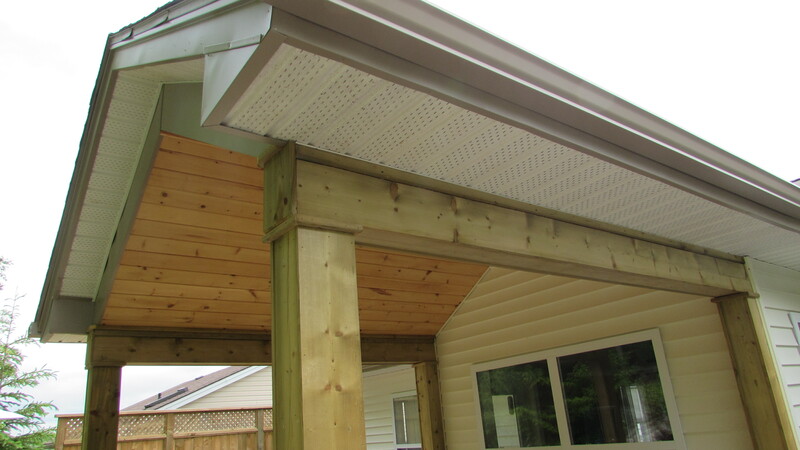 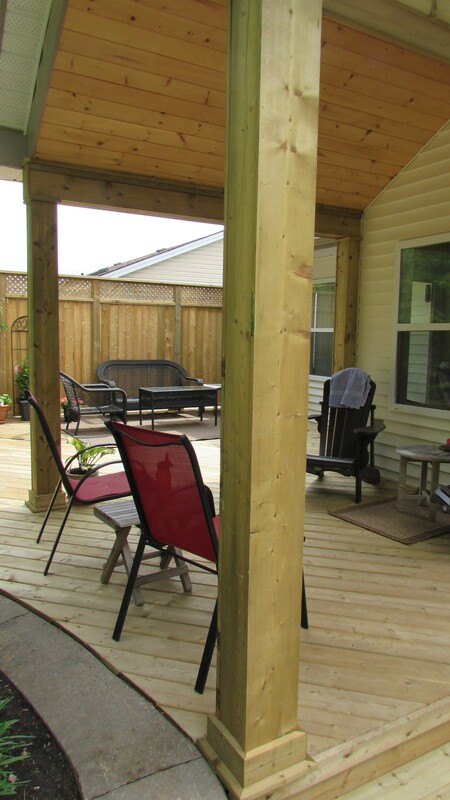 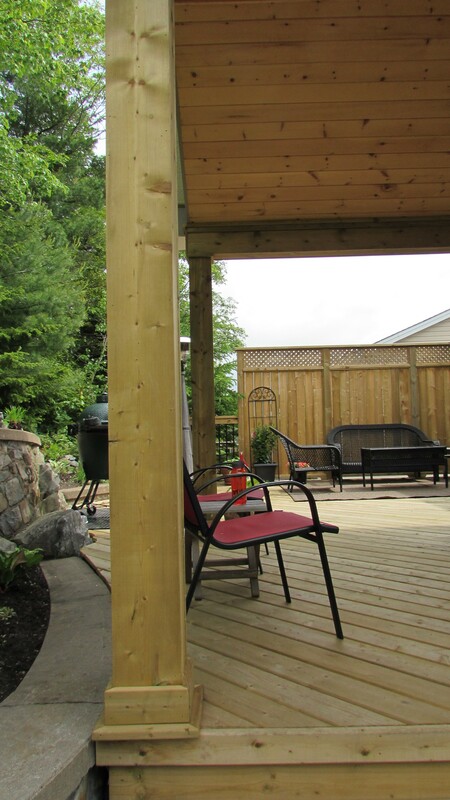 This deck was built with a gable roof extension to provide shade for those hot days where you need to escape the sun. 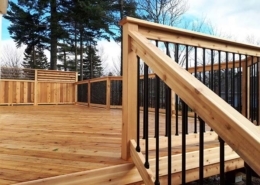 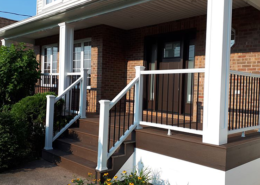 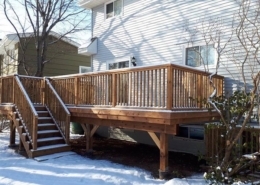 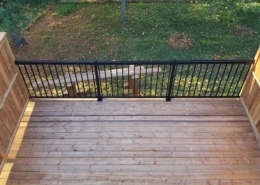 In the city you tend to be very close to your neighbours, we designed this deck to provide a little bit of privacy by building 84” privacy walls with privacy plus lattice extensions. 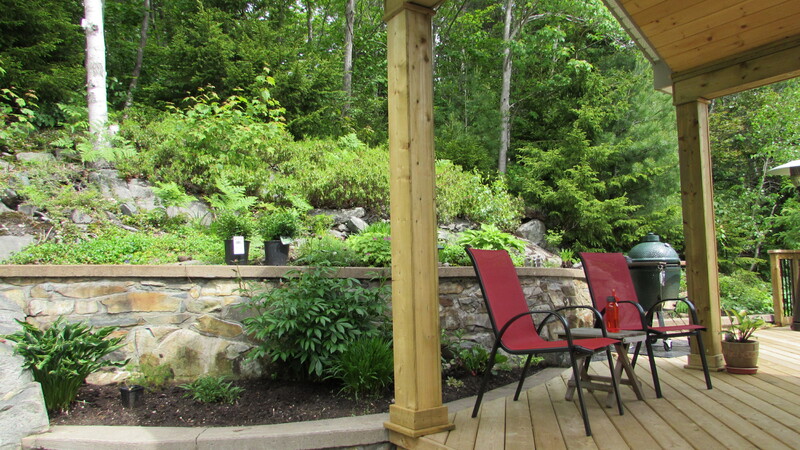 This deck is surrounded by colorful beauty and natural materials.